OCOM is excited to announce a new opportunity for our currently enrolled students. Bragg Health Foundation has made a donation in memory of Dr. Paul C. Bragg of $10,000 for five scholarships of $2,000 each. These Patricia and Paul C. Bragg Health Science Scholarships are to be awarded to second-, third-, or fourth-year OCOM students based on essay responses to a question about the relationship between nutrition and health. 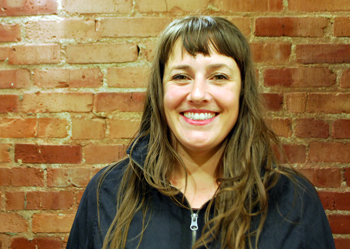 These scholarships are the first the Bragg Foundation has made to an acupuncture college. The mission of the Bragg Foundation is to inspire and educate people of all ages throughout the world to adopt a healthy lifestyle through optimal nutrition, exercise, positive attitudes, and spiritual wellness. To learn more about these scholarships and how to apply, visit our Scholarships page to download an application. The University of Arizona Center for Integrative Medicine (AzCIM) in collaboration with the Academic Consortium for Integrative Medicine and Health received a HRSA grant to establish the National Center for Integrative Primary Healthcare (NCIPH). OCOM is one of the sites where NCIPH will be piloting a 45-hour introductory interprofessional integrative healthcare course, Foundations in Integrative Health. Educational training institutions and their participants who are part of the pilot study will be expected to complete the course by July 1, 2016. Participants who pass a knowledge test with a score of 70 percent or better and complete at least 80 percent of the course content will receive a certificate of completion from the University of Arizona Center for Integrative Medicine. Read how the competencies were developed and strategies for adoption from an article originally published in Global Advances in Health and Medicine. On November 12-14, Ben Marx, MAcOM, LAc, Interim Director of Research, represented OCOM at the annual Society for Acupuncture Research (SAR) Conference at Harvard Medical School in Boston. The multiday international forum highlighted acupuncture and Oriental medicine (AOM) research from around the world and fostered interdisciplinary dialogue and collaboration among AOM researchers, practitioners, and policy makers. 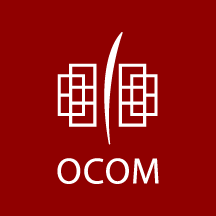 OCOM also supported the conference as a key Institutional Member and event sponsor. The conference, Reaching across Disciplines to Broaden the Acupuncture Research Network, contained multiple plenary lectures that directly addressed current basic, clinical, and translational research in AOM. Highlights included a session featuring Richard Harris, Irving Kirsch, and Ted Kaptchuk (“From Neuroimaging to Clinical Trials: The Changing Role of Placebo in Acupuncture Research”), which explored placebo research related to acupuncture and medicine, and another — “Advances in Mechanistic and Translational Acupuncture Research” — exploring acupuncture research in cardiovascular, reproductive, and metabolic disorders by Elisabet Stener-Victorin, John Loghurst, Takahiro Takano. In addition to the plenary lectures, special panels comprised of the plenary speakers and a moderator allowed for deeper, facilitated discussion of the topics between panelists and the audience. Workshops offered guidance in performing meta-analyses and systematic reviews, designing mind-body East Asian medicine clinical trials, and a hands-on introduction to various high- and low-tech devices for capturing outcomes in acupuncture-related research. 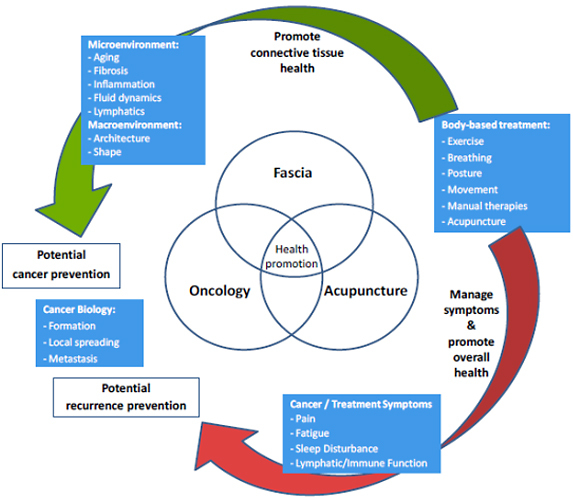 On Saturday, November 14, the conference expanded to an unprecedented one-day event hosted jointly between the Society for Acupuncture Research (SAR) , Society for Integrative Oncology (SIO) and the Fascia Research Society (FRS). During the joint conference, experts in the fields of acupuncture, integrative oncology, cancer biology, and mechanobiology synthesized clinical and basic science research highlighting the importance of connective tissue in cancer biology, and the role of acupuncture in an integrated approach to health promotion and cancer prevention. The 2015 SAR conference, taking place at Harvard Medical School — one of the most respected and recognized medical institutions in the world — represents an important step in the growth of AOM in the West. In addition, the joint conference between the Society for Acupuncture Research (SAR), Society for Integrative Oncology (SIO) and the Fascia Research Society (FRS) showcases the exciting cross-fertilization of ideas that is possible within the emerging integrative medicine movement. 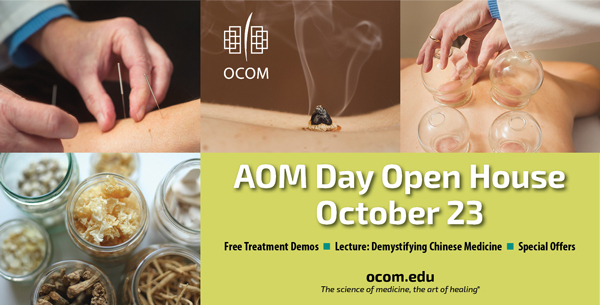 Visit the OCOM campus on Friday, October 23, from 3:00 PM - 7:00 PM for free acupuncture and other activities celebrating acupuncture, Chinese herbal medicine and the college’s graduates and programs.On Friday October 23, OCOM hosts an open house in honor of national Acupuncture and Oriental Medicine Day (AOM Day). In an official proclamation by Portland Mayor Charlie Hales, all city residents are encouraged to understand, “the long and rich history of traditional medicine that has been used for thousands of years to diagnose and treat illness…[and] those in need of medical services [seek] the full realm of treatment and seek competent and professional care.” AOM Day is observed internationally on October 24 as part of an effort to increase public awareness of the medicine. The public is invited to learn more about the benefits of acupuncture and Chinese medicine at a lecture from 5:30 PM to 6:30 PM, Demystifying Chinese Medicine, presented by faculty member Greg Livingston, PhD (China), LAc. The open house will also include complimentary group acupuncture treatments from 3:00 to 5:00 PM (4th floor Group Treatment Room). The OCOM Herbal Medicinary and the college’s bookstore will feature tea sampling, Chinese herbal displays and free giveaways on the first floor from 10:00 AM to 5:00 PM. OCOM alumni, current students and community partners are celebrated with displays featuring their products and services. An estimated 36 percent of U.S. adults use some form of complementary and integrative medicine (CIM), according to a survey by the National Center for Complementary and Integrative Health (NCCIH), a component of the National Institutes of Health. Among the common CIM practices identified by the survey were acupuncture, acupressure, herbal medicine, taiji quan and qigong. These studies and others like them demonstrate the role that AOM plays in today’s health care system. They also support the need for consumers to be provided accurate and reliable information regarding their treatment options. For more information about OCOM Clinic, including hours and fees, click here. Contact the OCOM Clinic front desk at 503-445-0951 to schedule your appointment. OCOM Clinic is on the 4th floor of the college campus at 75 NW Couch, Portland, OR 97209. 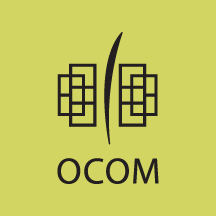 Founded in 1983, OCOM is a single-purpose nonprofit graduate school that offers two specialized degree programs: Master of Acupuncture and Oriental Medicine (MAcOM) and Doctor of Acupuncture and Oriental Medicine (DAOM). OCOM’s mission is to transform health care by educating highly skilled and compassionate practitioners, providing exemplary patient care, and engaging in innovative research within a community of service and healing. Our 1,300 graduates practice, teach and research Chinese medicine in 43 states and across the globe, and have provided an estimated 10 million treatments during the past 32 years. In 2012, OCOM relocated its campus and clinic to a LEED Gold certified academic, clinic and research facility in Old Town Chinatown. Additional information about the college is available on our website. 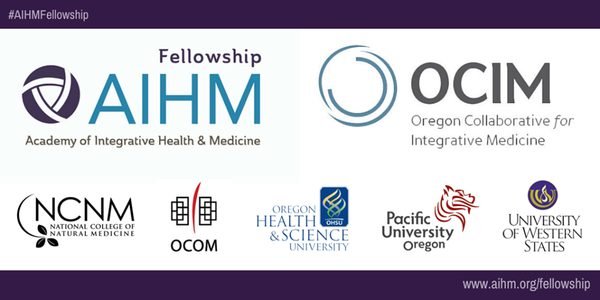 The Oregon Collaborative for Integrative Medicine (OCIM), a nonprofit with members National College of Natural Medicine, Oregon College of Oriental Medicine, Oregon Health & Science University, Pacific University and University of Western States, is partnering with the Academy of Integrative Health & Medicine (AIHM) on the first truly interprofessional advanced training fellowship in integrative health and medicine. This is the first graduate-level, two-year training program of its kind for interprofessional advanced health clinicians. Portland, Oregon is the only city in the United States to house the combination and breadth of teaching institutions needed for the program as envisioned by Dr. Low Dog and is made further distinct by the long history of collaboration among OCIM member institutions. The two-year program is a hybrid model that includes 1,000 hours in the virtual classroom with media-rich training, discussion groups, streamed videos and interactive web-based curriculum. Additionally, the program incorporates clinical rotations, three in-person retreats and elective specialty modules. The AIHM Fellowship will deliver the program according to the standards of the Accreditation Council for Graduate Medical Education (ACGME) and Accreditation Council for Continuing Medical Education (ACCME) through its academic partner, OCIM. According to OCOM representative to the OCIM Board of Directors, Deborah Howe, PhD, FAICP, "OCOM is thrilled to join OCIM in partnering with AIHM to create a new generation of interprofessional healthcare providers better trained understand and cooperate among each other's disciplines. Patients benefit when practitioners know how to provide truly integrated care." The Oregon Collaborative for Integrative Medicine (OCIM) is a nonprofit organization with membership comprised of National College of Natural Medicine, Oregon College of Oriental Medicine, Oregon Health & Science University, Pacific University and University of Western States. OCIM works to transform health care and improve the health of the public by creating integrative educational opportunities for students, residents, fellows, practitioners and patients by collaborating on integrative health research and patient care and by providing a collective voice for affecting change. OCIM believes that optimal health is not attainable within any single health discipline or profession, but rather is best achieved through an evidence-informed, integrative approach. Go to www.o-cim.org. The Academy of Integrative Health & Medicine (AIHM) is an international, interprofessional, member-centric organization that educates and trains clinicians in integrative health and medicine to assure exemplary health care. The AIHM’s training incorporates evidence-informed research, emphasizes person-centered care and embraces global healing traditions. 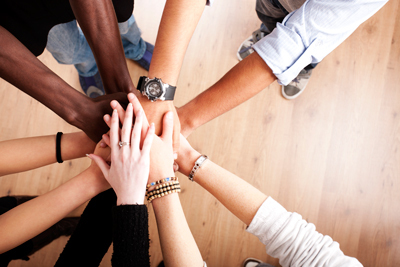 By combining science and compassion, the AIHM is transforming health care. Go to www.aihm.org. Founded in 1983, OCOM is a single-purpose nonprofit graduate school that offers two specialized degree programs: Master of Acupuncture and Oriental Medicine (MAcOM) and Doctor of Acupuncture and Oriental Medicine (DAOM). OCOM’s mission is to transform health care by educating highly skilled and compassionate practitioners, providing exemplary patient care, and engaging in innovative research within a community of service and healing. Our 1,300 graduates practice, teach and research Chinese medicine in 43 states and across the globe, and have provided an estimated 10 million treatments during the past 32 years. In 2012, OCOM relocated its campus and clinic to a LEED Gold certified academic, clinic and research facility in Old Town Chinatown. Congratulations to incoming Fall 2015 doctoral student Dixie Leigh Young Small, LAc, a 2008 MAcOM graduate of OCOM, and winner of the 2015 Standard Process Scholarship! She will join the program with two additional scholarship awards, the 2015 Practice Development Scholarship, and the Board of Trustees scholarship. About her most recent award, she says “the process of writing this essay allowed me to take a deeper look at Standard Process' long history of dietary therapy with the use of supplements, as well as the way in which I communicate the options available to my patients for improving the basic building blocks of their body. To view more information on OCOM scholarships, visit ocom.edu/scholarships. You can read Dixie’s winning submission below. The earliest concept of yin-yang is approximately 700 B.C. The concept describes how seemingly opposite forces are interconnected and interdependent in the natural world. Eighty-five years ago, Standard Process founder, Dr. Royal Lee, began talking about how nutrition plays a significant role in a person’s health. Describe how you will couple these philosophies and explain them to your patients. In this essay I am going to explain how the concept of Yin and Yang are used in Traditional Chinese Medicine (TCM) and can be coupled to the philosophy that nutrition plays a significant role in a person’s health, as set forth by Dr. Royal Lee, founder of Standard Process. I will go into detail about these philosophies and how they can be effectively communicated to my patients with different communication tactics. The first tactic of communication discussed is based on the teaching methodology wherein the giver of information should: “Say what you are going to say, then say it, then ask the pupil to tell you what was said.” The last aspect of having the listener, or patient in our case, say or write back to the provider what they have been told, is vital. A few minutes of the provider questioning the patient and having them make a few notes that they will keep, can help solidify this information in the patient’s mind. We will also refer to modern studies that show how populations are more able to integrate health information into their lives when such information is seen as familiar and as coming from their own community. This shows that using a tactic of information sharing on a personal rather than doctor to patient level may be more empowering to the patient to make more positive health choices themselves. This subtle difference relies heavily on a provider’s interpersonal communication skills or the (long held as vital in a health care provider) good-old bedside manner. In addition to traditional didactic methods of information sharing, and the way of presenting what is perceived as accessible healthy options and allowing a patient to choose them, communication tactics such as anecdote, allegory and metaphor must be used to convey such complex ideas to patients. The patients do not have to understand Yin, Yang and Qi as the TCM practitioner does. What will help them however is to understand their bodies as an interconnected whole ecosystem, with all parts connected and affecting one another. This information can be understood by gardener, administrator, mechanic and chef, by us all, really. Combining these last two methods of communication with the first one is vital. Even in the world of design, best practice is to avoid jargon, and “Always keep in consideration your client’s level of interpretation towards our work and make it a habit to communicate as simply as possible.” This is referred to as ‘aesthetic communication‘ and is carried out in a very subtle, indirect and artistic manner. To illuminate what we are about to discuss, a few key concepts will be explained. First we must look at the different Forms of Qi, which are Vital Substances in TCM and the foundations of all the Yin and Yang energies in the body. 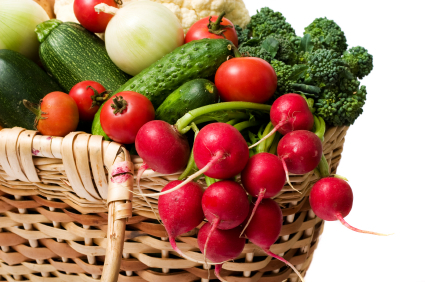 All of the functions of the body rely on access to the proper building blocks to function. There is the Original Qi or Ancestral Qi (Yuan Qi), which is created by the interaction of the body's Yuan yang (original yang) and Yuan yin (original yin). The Zhen Qi is the combination of prenatal original Qi (Yuan Qi) and postnatal Qi derived form air and food or Zong Qi / Gu Qi. Central Qi (Zhong Qi) is the Spleen and Stomach Qi, it processes Gu Qi and lifts Qi to keep it from sinking and the associated illnesses, such as diarrhea and prolapse, that come with sinking Qi. Food Qi (Gu Qi) is derived from Food as the name suggests and is the basis for Ying Qi and Zhong Qi. Ying Qi is derived from food essence, circulates with the blood, combines with fluids to create blood.Gathering Qi or Qi of the Chest (Zong Qi) is formed from combining fresh air with Qi derived from Spleen and Stomach. Protective Qi (Wei Qi) circulates outside of the vessels, opens and closes the pores and because of this active function has yang properties. Upright Qi (Zheng Qi) is the combination of Ying Qi and Wei Qi; it effects the body’s response to disease and can boost all of the body’s functions. Upright Qi’s strength is linked to the strength of the Original Qi or Yuan Qi. Zangfu and Jingluo Zhi Qi is organ and channel network Qi. Zangfu Qi is organ Qi and refers to the respective functions of different organ networks. Jingluo Qi is Channel network Qi refers to the Qi flowing through the meridians. One can grasp the role that food plays in the formation of all Qi in the human body when considering the way Qi is formed. The Qi that is derived from food is refined to become, at least a portion of, the basis for all of the other forms of Qi present and necessary in the body aside from Yuan Qi or our Original Qi inherited from our ancestors. In light of this, it should be clear that the quality of nutrients in the food we eat will dictate the quality of our Qi and therefore of all our bodily functions and overall health. Then we turn to the concept of Yin and Yang, which may always only be considered together and as in relationship to one another. Think of the popularized Tai Ji symbol that illustrates the relationship of Yin and Yang. Yin and Yang only work in concept as they relate to each other. As one is growing, the other is waning. If one is up, the other is down- but only so far as it can be considered as up again. In a book the cover is yang, the pages yin... but when you open the book, this changes. They must always both be present together and nothing is ever 100% Yin or 100% Yang; everywhere in the universe, in every thing they will always contain just the smallest aspect of each other. If one is absent, then they both have ceased and there is only a great void... until the void is noticed or in some way defined at least, and then there are, once more, yin and yang, in perfect relation and opposition. An easy way to think of them is that Yin is the shady side of the mountain and Yang is the sunny side, and derive similarities from there: Yin is up Yang is down, Yin is moist and cool, Yang is dry and warm, Yin is still, Yang is active, Yin is substance, Yang is energy. A common mistake is to classify things as Yin and Yang being an intrinsic characteristic of themselves as opposed to when compared to another thing. Women are not intrinsically Yin, but when compared to men, they are more Yin than men. Dr. Lee placed a huge weight on the endocrine system of the body in maintaining vital functions throughout the whole. He saw that with the necessary components of nutrition, the endocrine system could properly direct the body and prevent illness from occurring. These components were not to be single chemical constituents derived from plants. Dr. Lee saw that isolated parts of whole foods, or what many thought of as the contemporary vitamins, were the not compatible with the holistic principle of biology. He likened this to the components of a watch, they can work perfectly when balanced and together, but not worth a nickel to tell time on their own. This is a concept rooted in Yin-Yang theory and holism alike – extraction of one element from food leaves an incomplete nutrient. His work has been expounded upon for almost a century and continues to find validation in modern nutrition theory. We must be able to make this kind of thought as readily accessible to our patients mental process as is the idea that has permeated modern American culture of when we are sick we reach for an antibiotic. This type of mental accessibility to complex ideas and unfamiliar terms comes through frequent exposure and familiarity. If we are going to use terms such as Qi, or Yin and Yang, we must make then familiar and understood by exposure... or just use more familiar words that can be combined to have similar meanings. The next step is to make the understanding translate into change. Real change in how people address their own health concerns, or whether they do at all has been shown to be linked to feeling included in the community bringing this message and having a sense of choosing this path or action themselves, as opposed to being told to take it. Another element of effective health communication that has been shown to have a large impact is the perceived demographic similarities that exist between the educator and the target audience. With appropriate application of communication and the solid basis of TCM founded in Yin Yang theory we can affect positive health outcomes and our patients can make lasting lifestyle changes. Our own awareness of how we are perceived and the best way to relay information to those in our communities will allow quality health care practices to ripple outward into increased awareness around us as well. Dr. Brian Small, BFA, EdD, taken from direct in - person interview questions and answers 03/23/2015.